Comforting vanilla nourishes and rejuvenates. 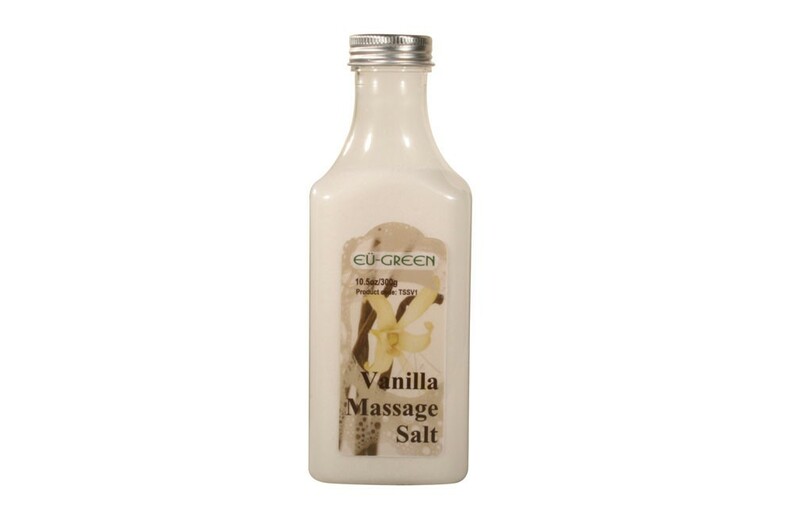 Reap the benefits of exfoliation with our Vanilla Massage Salt. This richly scented salt will slough away dry, dull skin to reveal a fresh, new you! Luxuriate in the comforting essence of vanilla while sloughing off dull skin. Exfoliation has many benefits including minimizing fine lines and wrinkles, unclogging pores, reducing breakouts and generally making the skin healthier. To use, wet skin, apply the massage scrub salt over your entire body, then rub to generate rich, foamy bubbles. Gently work the scrub into your skin, particularly your heels, knees and elbows. Rinse well. Your skin will look and feel amazing! 30-day warranty against any Defects.